The mythical dragon is often a misunderstood creature, throughout history, he has often been slain by various different conquerors. 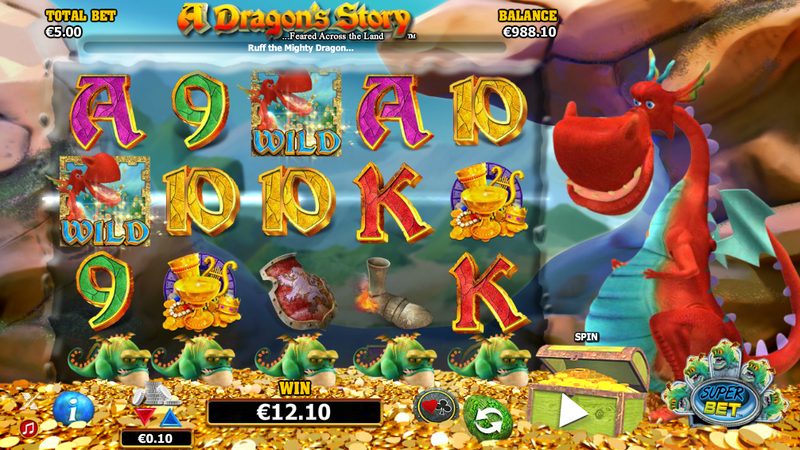 This new slot sites tells the tale of the tame and friendly dragon, the one guarding the 5 reel kingdom of gold and fortune. 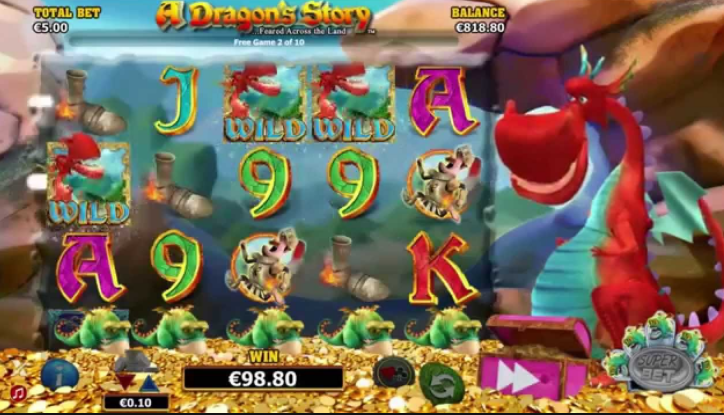 Encounter the dragon and win free spins and play your way onto the bonus board as your winnings begin to fire up and the story of the mystical creatures grips you to the screen in anticipation. NextGen Gaming was first founded in 1999, and its online slot games are very popular for a reason. Not only are they packed full of sophisticated graphics and animations, their gameplay innovations are designed to give its players a more personal experience which is why this developer has established such a firm fan base. As one of the oldest online gaming providers, you can rest assured with their track record of providing safe and secure games to the gambling industry. If you like NextGen then click now! Have you ever played a traditional Knight vs Dragon game and thought that you would rather be on the side of the dragon? They are after all bigger, mightier, and far cooler than a little knight on a horse. Not to mention the fact that it’s the knight trying to steal the dragon’s gold! In A Dragon’s Story, you have the opportunity to help Ruff, the Dragon. Sir William is a greedy gold thief and Ruff needs your help him retrieve his gold from this opportunistic knight, and he will reward you generously for your efforts. You have 5 reels and 25 pay lines in this fun adventure game, and you can help Ruff from 25p up to £100 per spin. The reels themselves are set in Ruff’s lair, this huge red dragon is sitting on an even bigger pile of gold. There is also a cute little green dragon which turns Wilds into enhanced reels by setting them on fire. Decorating the transparent reels are your standard card value symbols, collect 3 to 5 matching symbols to receive between 5 and 200 times your stake. If you can find 3 to 5 pieces of burnt Armour symbols, Ruff will give up to 250 times your bet. Bring him Sir William and you will receive up to 500 times your stake, and return the stolen treasure to receive up to 1, 000 times your bet! There are more general gambling promotions here. Scattered Jewel symbols have the power to multiply your total bet up to 2, 500 when you land 3 or more on the reels, so look out for those precious stones! 3 Scattered Jewels will also trigger 10 Free Spins, during the feature your prizes will be doubled and you have the opportunity to retrigger more Free Spins by landing further Scattered Jewels. The Wild Dragon will substitute for all symbols except the Scattered Jewel symbols, and you can win up to 2000 times your stake. If you activate the Superbet feature, the little dragon will turn the Wilds into Enhanced Reels. Bet 50 coins to have all 5 reels enhanced, 35 coins for 2 – 4 reel enhanced, and 25 coins for 3 reels to be enhanced. Keep an eye on Sir William, after a paid spin he may try and enter Ruff’s lair. Throw a fireball at him to make him drop the treasure, the more he drops the bigger your prize will be. Try your luck join & spin today. A Dragon’s Story is full of fun and adventure, it’s action-packed with Bonus features and stunning graphics and animations. Find treasure and jewels and it’s riches all around with this brilliant online slot from NextGen! Another fun themed game is our Goldilocks.